Although it is difficult to see beyond the sorrow, may looking back in memory help comfort you to continue your life tomorrow. 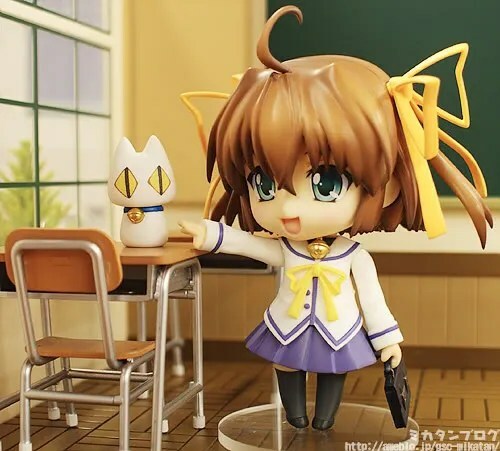 The main heroines of the first D.C. ~Da Capo~, Asakura Nemu has finally joined her sisters granddaughters in Nendoroid form. 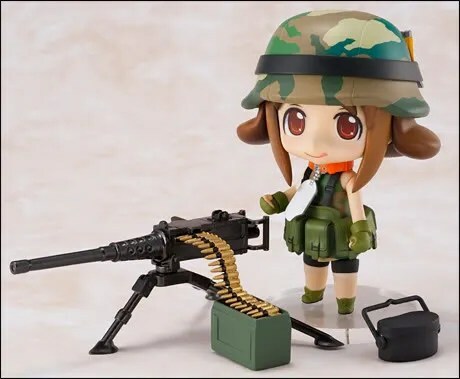 Yep, Nendoroid Asakura Nemu is now available for pre-order in some online figurine stores with a retail price of 3500 Yen and slated for March 2011 release. For those who doesn’t know who Nemu is … well, she is actually the younger sister grandmother of Asakura Otome and elder sister of Asakura Yume. She appeared in the original Da Capo, while Otome and Yume appeared in Da Capo II. The third Nendoroid of Pixel Maritan – Nendoroid Army-san is now available for pre-order! This little soldier will come equipped with some heavy weapons, despite her cute expressions. See more of her photos after the break. Nendoroid Saber: Super Movable Edition is Released! 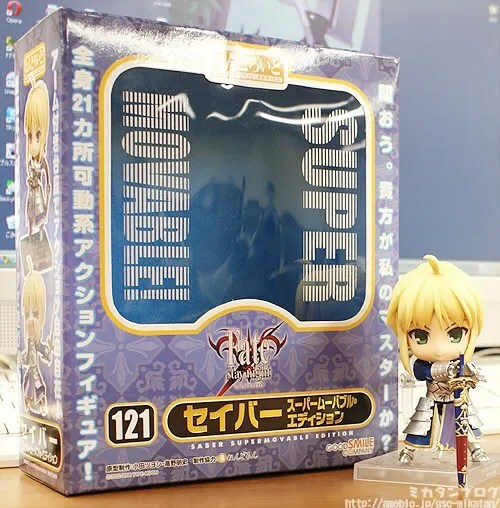 The first super-movable Nendoroid ever: Nendoroid Saber: Super Movable Edition has been released in Japan as of today. So, what’s so special about her? Well, of course it’s her joints. Unlike other previous Nendoroid, this super movable Saber has joints on her elbows and ankles – reminds me of Nendoroid Petit Hachune Miku. This Saber also brings along some of her swords and the sheaths – which looks to be very well sculpted. Create an awesome pose for Nendoroid Saber: Super Movable Edition. Take some photos of it – mobile phone camera shoots are also accepted. Send it to mikatan-s@goodsmile.jp with the subject/title: “セイバーで遊んでみたお” along with your name and comment in the e-mail body. The most important factor is the POSE. Image quality doesn’t matter. You are allowed to use expression from any characters. Feel free to use other little items, but focus on the posing. 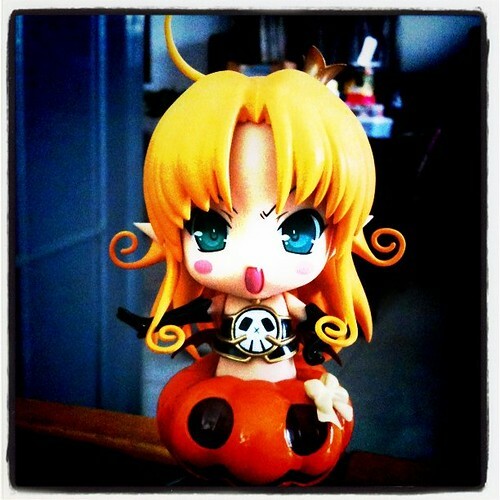 Mikatan, along with her Takanon and Ota-P will choose several winners from the submitted photos. The photos will be displayed in the blog and the winners will receive a small gift from Mikatan. The submission deadline is November 7th midnight (UTC+9). As usual, the monthly hobby magazine always shows off new Nendoroid for us to drool. 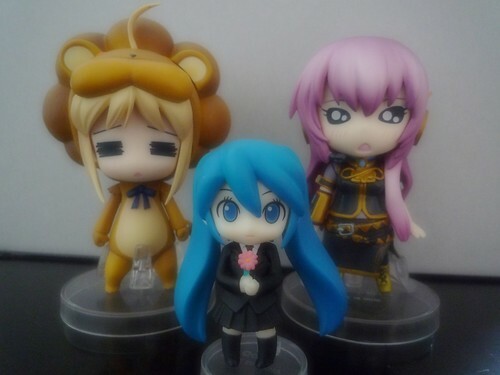 This month’s Hobby Japan has four Nendoroid from GSC and there’s also a fifth made by Phat! Company. 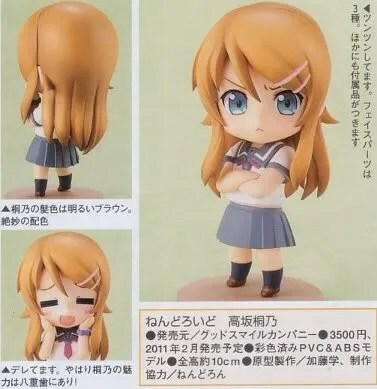 First up is the famous tsundere-otaku-little sister, Nendoroid Kousaka Kirino from the manga/anime series Ore no Imōto ga Konna ni Kawaii Wake ga Nai. Apparently, she will be released on February 2011 and priced at 3500 Yen. 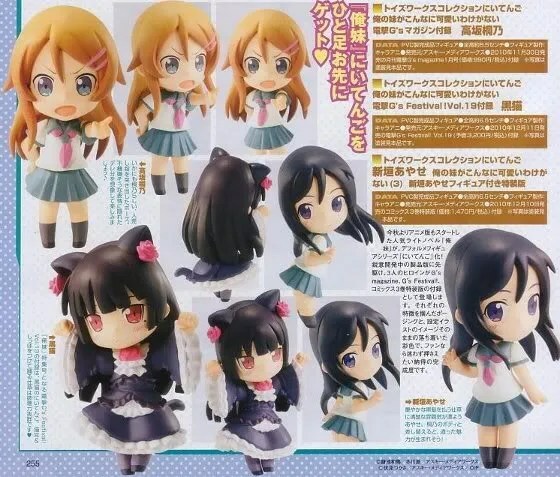 More info on other new Nendoroid after the break.